Do you know if glass is strong? Is plastic waterproof? 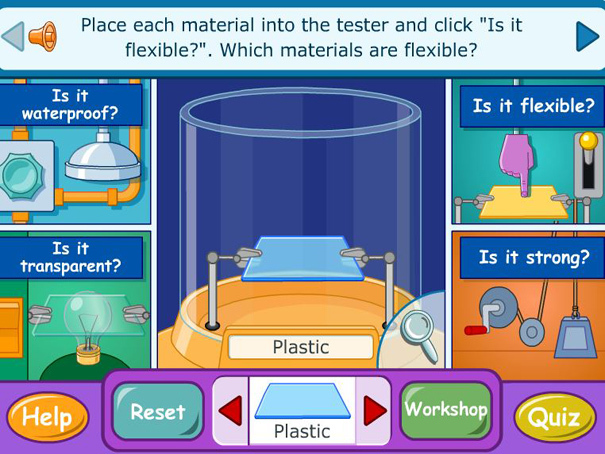 Use this site to learn the names of the important types of material we use and whether they are strong, flexible, transparent or waterproof.